If you have bed bugs, then a dry steamer is something you should be purchasing immediately. Although they can seem expensive, they are actually such a great investment for your home and could end up saving you way more money. So, in this post, I’ll explain what a dry steamer is, why it’s essential you get one if you have bed bugs, and how to search for the best dry steamer for your budget. A dry steamer looks like a vacuum-like device with different nozzles and scrapers. As the name of the device suggests, a dry steamer cleans by blowing out very hot steam through the nozzles. Much less moisture is contained in the steam than a regular steamer so your furniture and floors won’t be soaked in water, which increases the chances that they’ll get moldy or get damaged. The low steam rate is also good for bed bug eradication as it won’t blow the bed bugs around thereby spreading your infestation. Because a dry steamer doesn’t soak things in water, they can be used to clean a large variety of surfaces. From mattresses to sofas to wood floors to shower tiles. The hot steam that comes out works wonders cleaning all sorts of places. Most dry steamers come with a bunch of different attachments that can be used for different purposes (e.g., small nozzles for cleaning areas between tiles, floor cleaning head for large flat surfaces, attachments for cleaning fabrics). No chemicals or detergents are needed for use with a dry cleaner – all you need is water, which gets heated up by the device to very high temperatures to produce steam. Why use a Dry Steamer to Get Rid of Bed Bugs? If you’re serious about getting rid of bed bugs, but you can’t find or aren’t willing to trust a professional exterminator, then a dry steamer is a must. Steam can be used to treat pretty much any area and any material. You can’t really throw your mattress or carpet into the washing machine, but you can use a dry steamer on them. Plus, the attachments that come with a good dry steamer will allow you to get into those tough to reach cracks and crevices where bed bugs love to hang out. 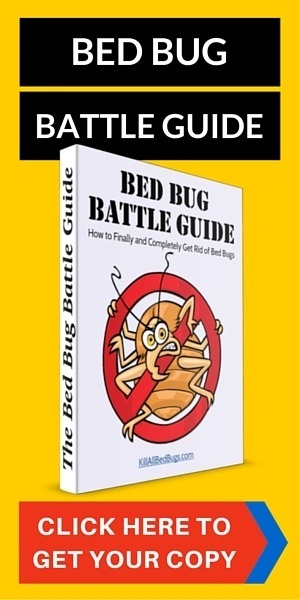 Bed bugs, like most other insects, simply can’t live when exposed to certain temperatures. As explained below, one of the primary things you need to consider when buying and using a dry steamer is to make sure that the steam is hot enough. Presuming that it is, any bed bugs (and their eggs) with which the steam comes into contact will be killed almost immediately. There are a lot of dry steamers on the market as I’m sure you’re aware by now. But, if you plan to use one to help you eliminate bed bugs at your home, then you cannot just buy any dry steamer. To help you become more informed before you buy a dry steamer, below are three things you’ll need to make sure any dry steamer you purchase for bed bug treatment has. If you’re in a hurry to buy a dry steamer, then for the price, this Vapamore device is the one we recommend. The steam absolutely needs to be hot enough (over 140F or 60C), or you’ll be doing little more than giving your bed bugs a relaxing sauna treatment. If ours is not the only website you’ve read, then you’ve likely heard that the steam needs to reach 120°F (or 45°C). That temperature is a bit misleading because that’s actually the temperature around which bed bugs can no longer survive (and some studies suggest that 60°C is a more certain temperature). If your dry steamer is only heating the steam to that temperature, then by the time the steam reaches the bed bug, it will be many degrees cooler. If you’re buying a dry steamer, then you need to read the manufacturer’s rating of how hot the “tip temperature” is, and you need to make sure that the “tip temperature” is at least 200°F. Still on the topic of temperature, assuming that you’ve gotten a steamer that is hot enough, you now need to make sure that you use it correctly. In terms of bed bugs, this means that the tip of the steamer needs to be held very close to whatever you are steaming, and you need to move very very slowly. One way to do this is to place a towel or thin cloth over the head of the dry steamer. This will make the steamer hotter and will also make sure that the force of the steam is not such that the bed bugs are simply blown to another location. Even if you don’t need all the different attachments right now, they can come into use later. Corners and crevices are often hard to reach, but a good attachment can help you get steam into those tough to reach places. The whole point of a dry steamer is that it produces very hot steam but very low flowing amounts of it so that the temperature can get high right next to where it’s coming out of the device. This is why they’re efficient at killing bed bugs. If too much steam comes out, then there will be too much air movement that can blow the bed bugs and their eggs instead of killing them. This will make your treatment plan much tougher to carry out as you’ll have to watch out for where they go and redo areas again. Too much water coming out of the dry steamer can also destroy your furniture. However, some complaints about dry steamers producing too much water are due to improper use of the steamer (e.g., leaving it on without moving it for too long so that the steam condenses and accumulates in one spot). The steamers we recommend – check out the Vapamore MR-100, which is among the cheaper dry steamers, and the Sargent System, which is really the best dry steamer we’ve seen but is probably pricey for that reason. What do I need to know about how to use dry steamers? 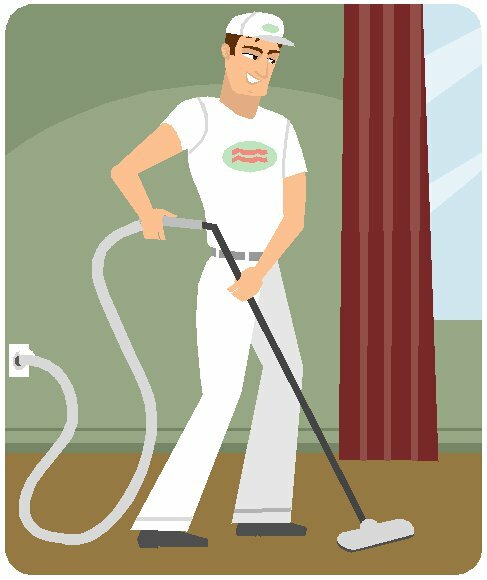 Dry steamers look somewhat like old vacuum cleaners, so they appear to be relatively simple and easy to use. 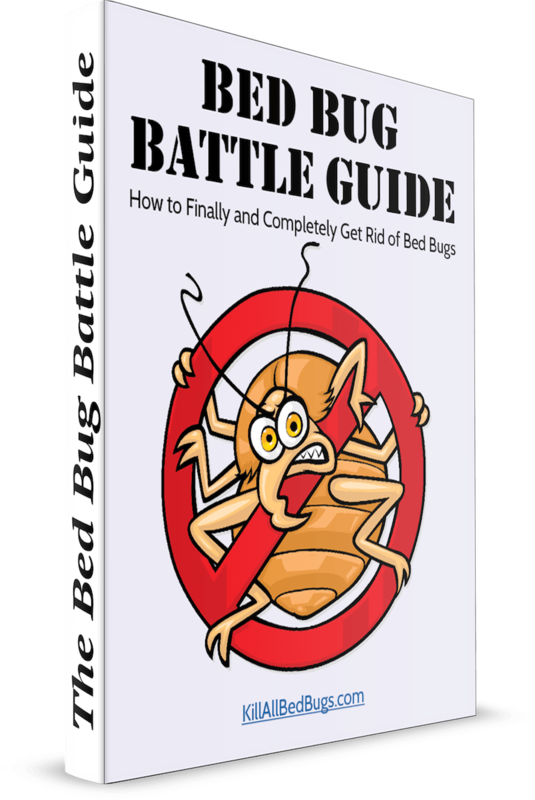 For the most part this is true, but there are several things that you need to know, consider, and be wary of when using these devices to rid your home of bed bugs. Dry steamers get up to very high temperatures that can burn you. So, never put your hand under the nozzle to test the temperature! Keep kids and pets away from the device when you’re using it and store the device away from where they can get access to it. When you’re not using the device, always unplug it so that it doesn’t get accidentally switched on. You might be asking why we even feel the need to reiterate this point, but you absolutely must be thorough when using a dry steamer. This means going very very slowly along any surface that you are steaming (as mentioned above), but it also means that you need to pay special attention to crevices and cracks. In addition, you need to steam everything (carpet, bed, sofa, etc.) in the same session, since bed bugs are capable of migration. We are not exaggerating when we tell you that dry steaming a small room can easily take at least 5 hours. This is going to be time intensive work, but it will kill the bed bugs! Don’t forget that even the metal parts around your bed frame can still harbor bed bugs! And turn furniture upside down as well to make sure you get any bed bugs or bed bug eggs on the base. One of the main items of furniture you’ll want to dry steam is your mattress. While a good dry steamer won’t blow too much of the bed bugs away, start from the center just in case so that you can see if anything is being blow by your steamer. Make sure to focus on the corners of the mattress and the seams. In particular, flip the edges and make sure to steam under there as those are the places that bed bugs are most likely to reside. Dry Steam is an oxymoron and is not technically correct. Anything the steam touches is going to be at least damp. For this reason, you need to make sure that you have plenty of ventilation in any room that you dry steam. Bringing in a few fans to dry things after the steaming session can help. If not, you run the risk of mold developing in any room in which you have used a dry steamer. 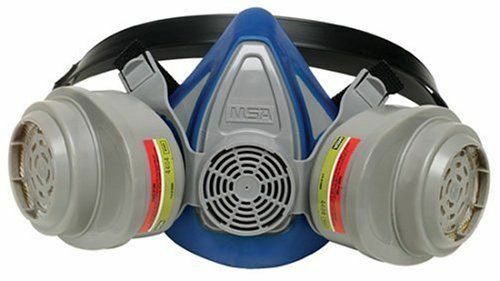 Always wear a respirator while using a dry steamer (and we don’t mean one of those silly little masks that nurses where or a dust mask). Steam and heat can activate a variety of chemical residues, from pesticides or even paint. These are not the types of things that you want to be breathing in. Interference with other bed bug extermination measures. If you have hired a professional exterminator, you need to talk to your exterminator before using a dry steamer. Often, the dry steamer can cause substances such as pesticides to be washed away or else undermined (heat often causes chemical breakdown). We recommend that you use a dry steamer before you use pesticides, rather than after. As far as specific dry steamers to buy, check out the 2 we mentioned above, or else visit our Product Reviews page.